The shared-office company opened its first Northern Virginia co-working space in Ashburn in 2016. It will expand its original location and add new locations in Chantilly and Woodbridge. 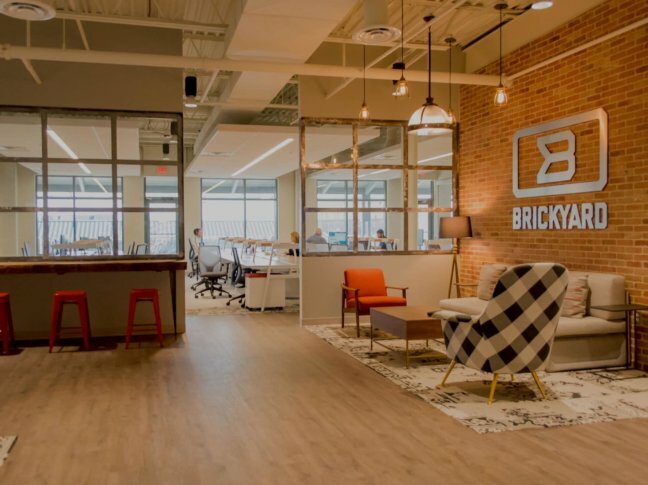 WASHINGTON — Brickyard, which opened its first Northern Virginia co-working space in Ashburn in 2016, will expand its original location and add new shared-office locations in Chantilly and Woodbridge. The Woodbridge location — in Neabsco Commons at 2700 Neabsco Common Place — is across from Freedom High School and adjacent to Northern Virginia Community College’s Woodbridge campus. It will open this summer. It will be the first coworking space to open in Prince William County and is the result of a $400,000 public-private partnership grant that Brickyard received from the county in October for office equipment and tenant improvements. The 7,100-square-foot Woodbridge location will have 24 desks and 20 private offices. Brickyard will also open a location this summer in Chantilly, in the West Fairfax Commerce Center at the intersection of U.S. Route 50 and Virginia Route 28. The 5,000-square-foot Chantilly location will have 20 desks and 10 offices. Brickyard will also expand its existing 7,000-square-foot University Commerce location in Ashburn with a second 1,500-square-foot space.